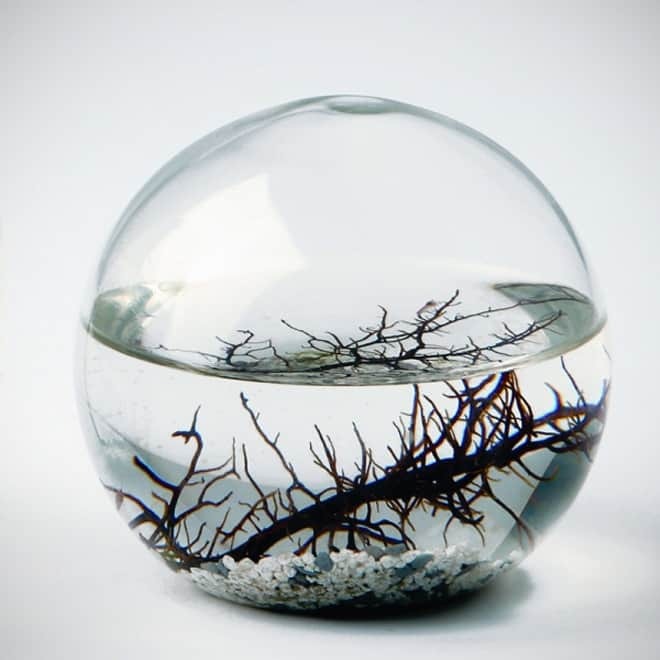 The EcoSphere is a closed ecosystem with shrimp. 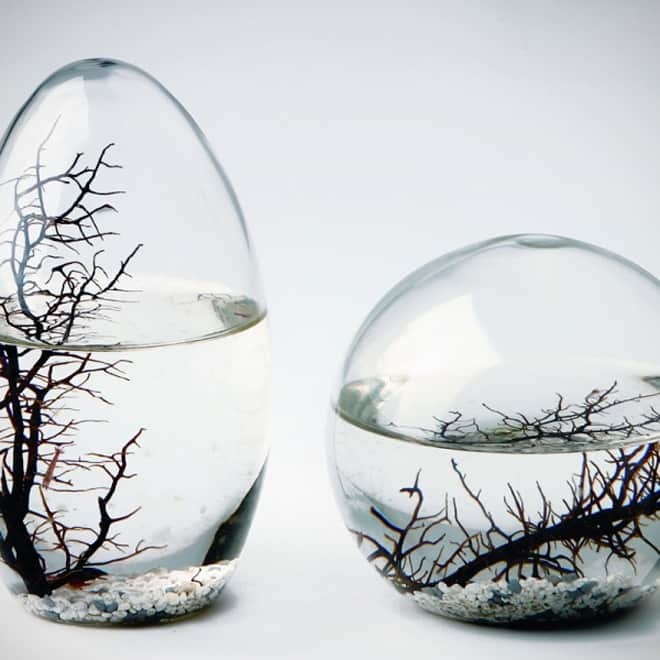 It has been called a science project, the world’s lowest maintenance pet and a closed aquarium. 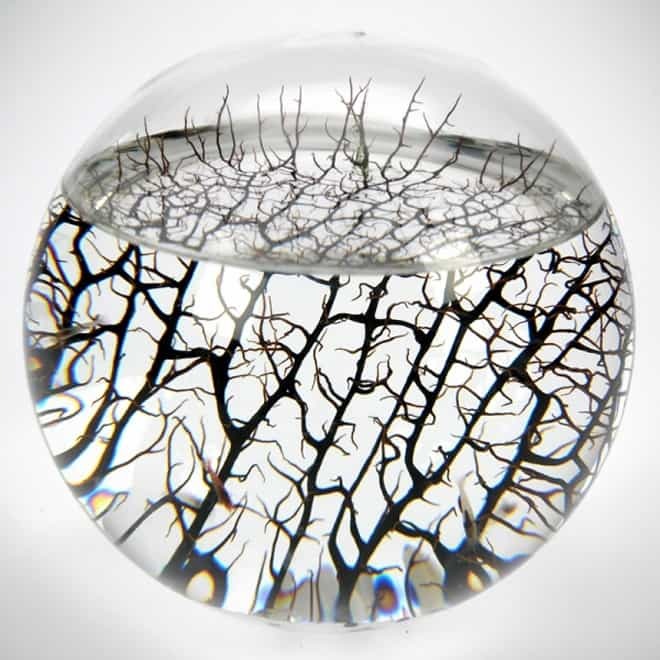 It is a fascinating decoration for your home or workplace. 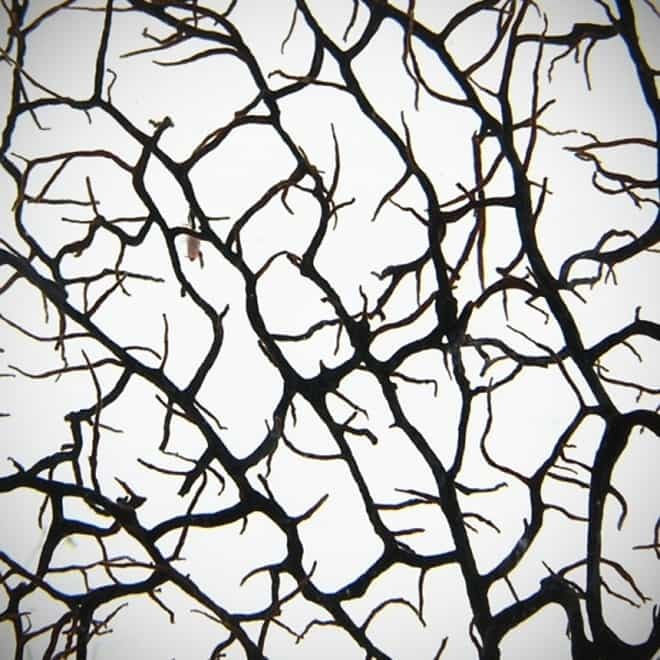 This technology was developed by NASA scientists as part of a growing initiative to study our planet’s biosphere. 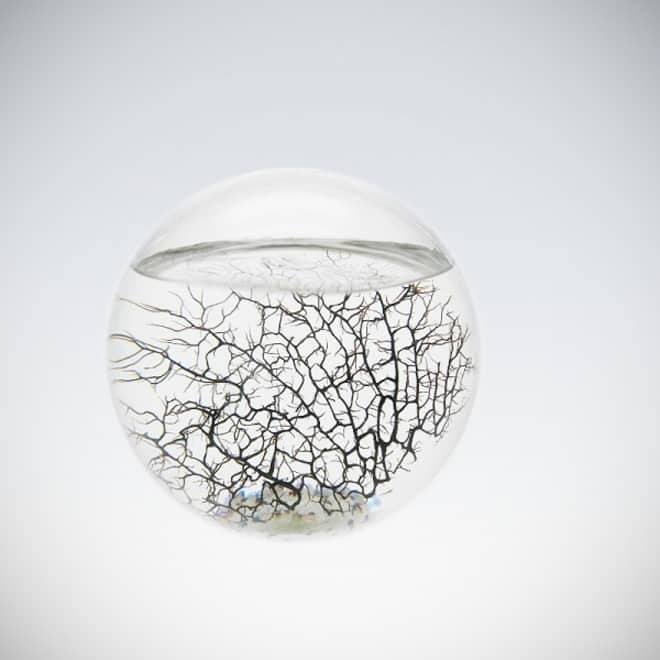 Each EcoSphere is a materially closed ecological systems which is self-sustaining over a period of years. At room temperature, and with only low inputs of light, the algae produce oxygen which supports the shrimp and bacteria. Bacteria break down the shrimps’ wastes. 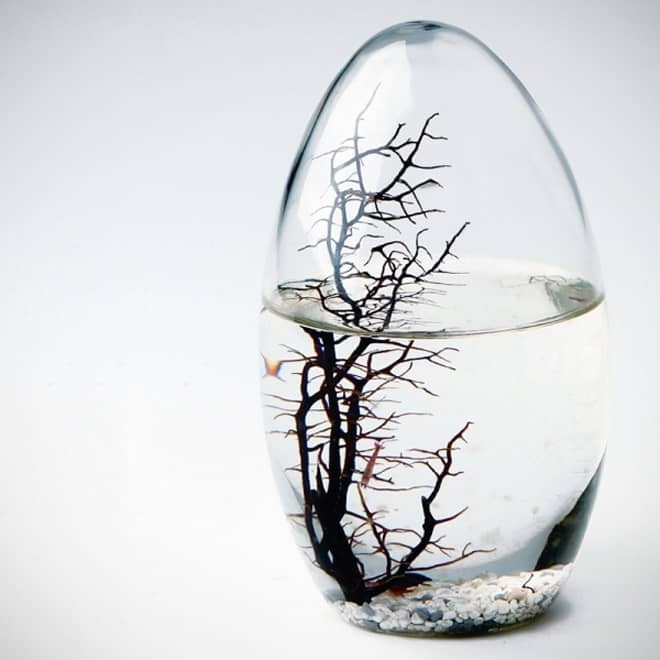 The breakdown products provide nutrients to the algae and bacteria upon which the shrimp feed. 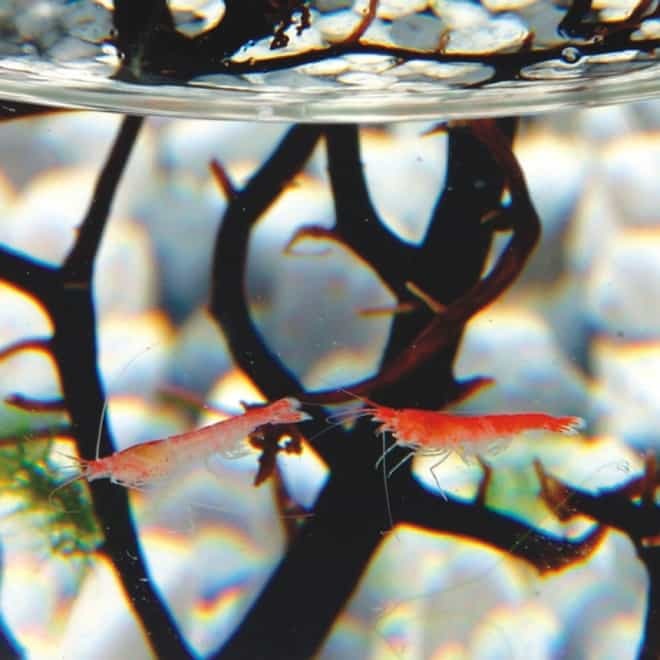 The manufacturer states that shrimp live in the EcoSphere for an average of 2 to 3 years, and are known to live over 10 years. The coral is dead and plays no active biological role in the system, however it does increase the surface area for beneficial bacteria and algae, and the calcium carbonate in the coral acts as a pH buffering agent.